About four years ago, Taylor Binns from Toronto, went to Haiti for humanitarian work. Soon after, he started feeling intense eye pain and his vision got progressively blurry. Two years later he had reached the point of being legally blind. He could no longer read a book or drive his car. The doctor's still had no answer to what the cause of his vision loss was. "Everything I could do before was being taken away, day by day, and it got worse and worse," Bins said. After two very difficult for him years, doctors managed to come up with a diagnosis. His condition was corneal limbal stem cell deficiency. The condition causes normal corneal stem cells to be gradually replaced by scar tissue, resulting in painful eye ulcers and progressive loss of vision. In Binns case, doctors believe his condition was the result of wearing contact lenses for too long without properly cleansing them. Doctors from the Toronto Western Hospital proposed something new to Bins, a limbal stem cell transplant. 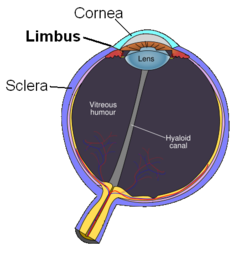 The corneal limbus is the border area between the cornea and the whites of the eye (see graph below). Doctors informed Binns, that he had to take anti-rejection drugs for the rest of his life if he decided to proceed with the operation. Similarly to organ transplantation, a healthy match was first needed. Victoria, Binn's younger sister, was chosen as a good match and the doctors proceeded with the operation. During the operation all scar tissue was removed and afterwards healthy stem cells from Victoria's eyes were extracted and stitched to the surface of Bin's eyes. According to the attending doctors the operation was a major success. "Within a month he could see 20/40, his last visit he was 20/20 and 20/40." Today, Binns is pain-free and his vision has returned back to normal. 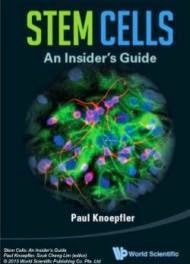 Limbal stem cell transplantation is a relatively new operation. For now doctors can only transplant cells from a living donor, however they also work on transplanting stem cells from deceased donors or autologous stem cells from a patient's own eyes. The later would have the advantage of not requiring the patient to take anti-rejection drugs, but also requires to first find ways to grow these cells in the lab. Limbal stem cell transplantation is available in a limited number of U.S. centres, with Binns being the first to be treated at Toronto Western Hospital. Since then, six similar operations have been successfully carried out at the hospital. Limbal stem cell deficiency (LSCD) is a disease caused by the loss or dysfunction of limbal stem cells (LSC). The most common cause is chemical or thermal burns. Symptoms of LSCD may include decreased vision, photophobia, tearing, blepharospasm, recurrent episodes of pain (epithelial breakdown) and chronic inflammation with redness.